In November the IFLA APR Regional Congress invited speakers and delegates from around the world to Bangkok, to share their ideas about landscape architecture, urbanism, and art and design in the contemporary world. The IFLA APR group includes some of the most populous, dense, and diverse countries in the world. The congress sought to create a strong body of knowledge that professionals across the region – and the world – can draw from. The theme of this year's conference was 'Blue Green Culture'. 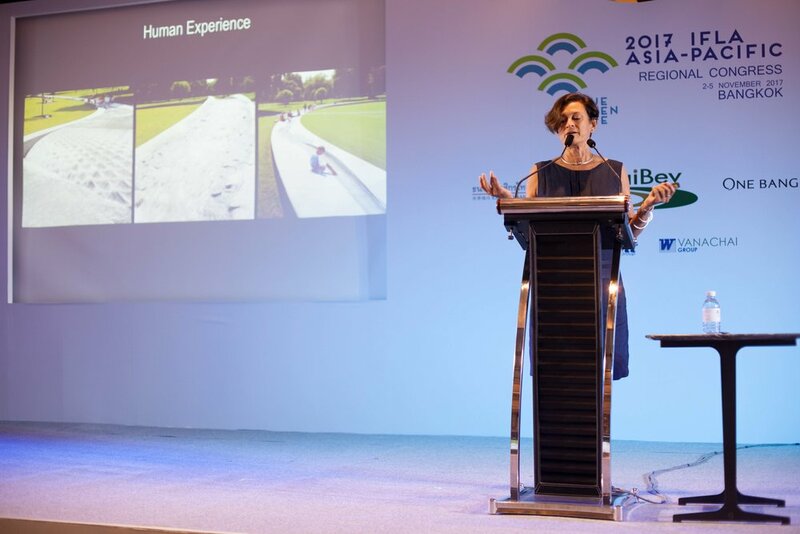 To illustrate how meaning can be expressed through contemporary landscape design, Mary spoke about the work of Gustafson Porter + Bowman over the past twenty years, including key projects in Valencia and Singapore. The work of Gustafson Porter + Bowman is renowned for its scale of reference, and these projects illustrate our approach to landscape finding innovative approaches to the integration of nature into our cities which reflect the history of the place. IFLA is the body representing Landscape Architects worldwide. Its purpose is to coordinate the activities of member associations when dealing with global issues, and to ensure that the profession of landscape architecture continues to prosper as it continues to affect the design and management of our environment. The IFLA APR group is made up of delegates nominated by each of the professional landscape architecture organizations located within the Asia Pacific Region that are members of IFLA (currently 14). 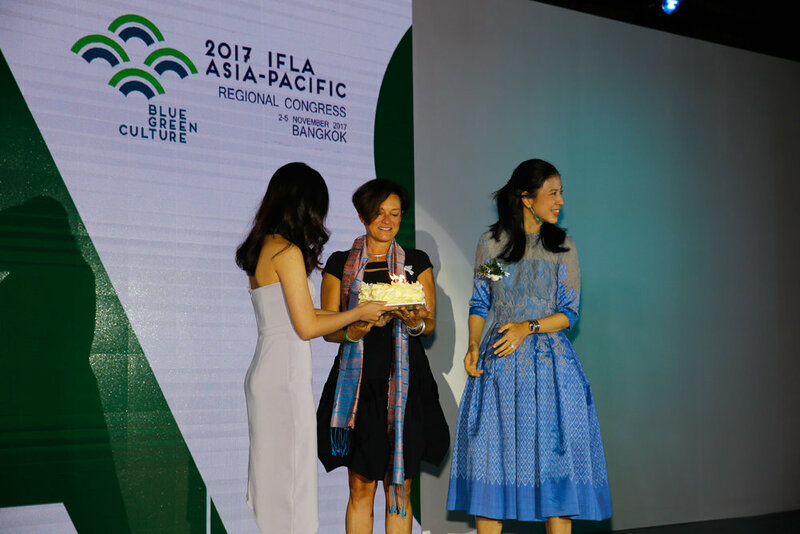 The delegates represent their respective countries at IFLA and work together as a collaborative group to champion landscape architecture issues and projects throughout the Asia Pacific Region. Each year the APR holds a Congress hosted by one of its member countries. These Congresses provide an opportunity for landscape architects and other interested allied professions to explore topical issues that affect our world and understand the role we might play in addressing those issues.